Cheap UltraHD streaming, but with a lot of problems. Amazon started streaming 4K HDR video way back in 2015, and now it has a streaming device to match in the new Fire TV. Assuming you have a 4K HDR television, the 2017 Fire TV streams crisper, more color-rich video for the same $70 price as Roku’s Streaming Stick+ and Google’s Chromecast Ultra. It’s also a bit faster than the 1080p Fire TV Stick, which remains available for $40. Despite the step forward on video quality, the new Fire TV suffers from some confounding design choices that make basic navigation a hassle. It also requires you to keep a separate remote on hand for TV volume and power, even as those controls become table stakes on other streaming players. Because of those deficiencies, the Fire TV has regressed from its position as the best streaming device for most people. Instead, it’s only worthwhile for those who’ve invested heavily in the Amazon ecosystem. 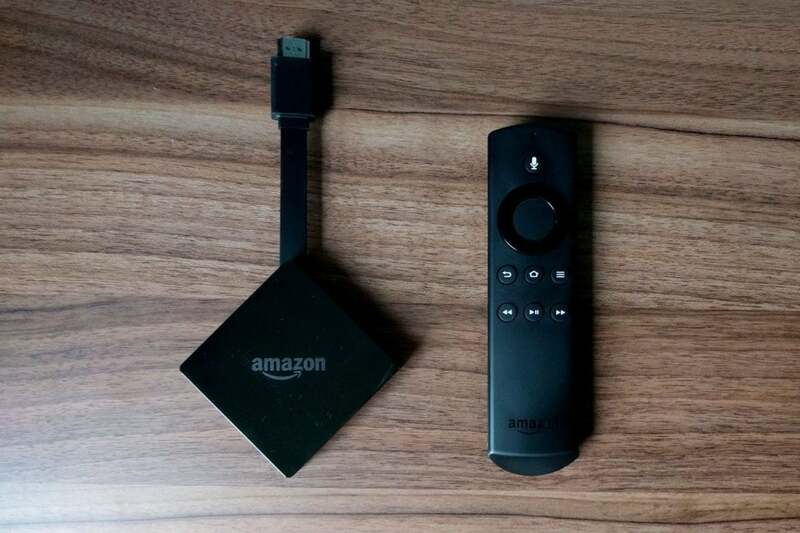 Although the new Fire TV inherits the name from Amazon’s now-discontinued set-top box, it hews a bit closer to the entry-level Fire TV Stick in design and performance. Instead of sitting on a TV stand, the new Fire TV is a pendant that hangs behind the TV on a short built-in HDMI cable. And like the Fire TV Stick, there are no ports for full-sized USB, microSD, or ethernet; if you want wired connectivity, you’ll need to buy Amazon’s $15 adapter. 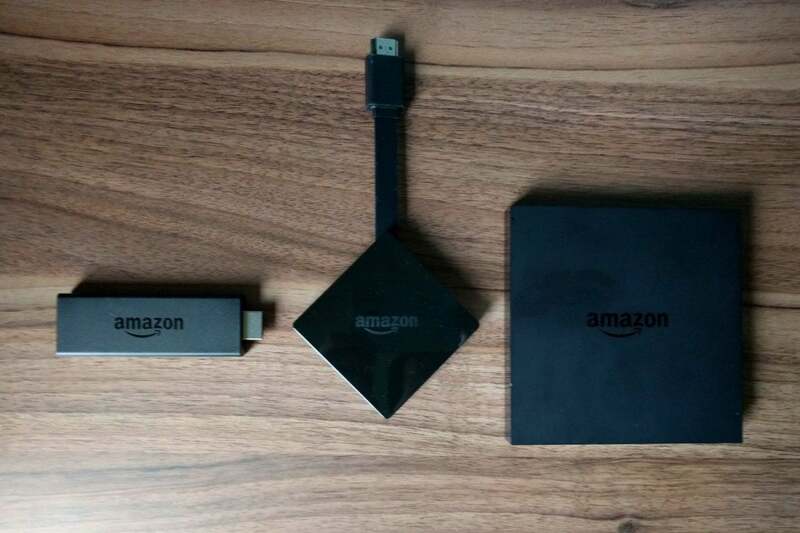 The new Fire TV (middle) is like a cross between the Fire TV Stick and the last-generation box. Performance floats between the Fire TV Stick and old Fire TV box, with twice the RAM of the former, but a slower processor than the latter. In practice this means the Fire TV runs smoothly most of the time, but will crawl through some more demanding apps. In PlayStation Vue, for instance, the interface lags a half-second behind each button press, and the channel guide needs time to load onto the screen as you scroll through. Even Amazon’s first-generation Fire TV box from 2014 does a better job. The new Fire TV’s remote control, meanwhile, is exactly the same as Amazon’s other streamers, and that’s a problem. Amazon opted not to include an infrared emitter and TV control buttons on its remote, leaving the Fire TV with a clear disadvantage against the latest Roku Streaming Sticks and higher-end streamers like the Apple TV 4K and Nvidia Shield TV. As for 4K HDR, it’s a nice perk for users with compatible TVs, allowing the screen to run at higher brightness levels without blowing out colors in bright scenes or ruining shadow detail in dark ones. Amazon helpfully highlights some of its own 4K HDR content on the Fire TV home screen—the opening scene to Sneaky Pete makes a great demo—and the Fire TV also supports 4K HDR in Netflix and YouTube. Still, Roku’s Streaming Stick+ delivers all the same 4K HDR apps for the same $70. On its own, 4K HDR is not a differentiator for Amazon. Amazon’s Fire TV software is just as disappointing as the hardware, largely because it has so much potential. Netflix and HBO users get recommendations rows on the home screen. Some other apps feed into a single “Recommended By Your Apps” row instead. Meanwhile, Amazon has cluttered up its home screen with all manners of uninvited content. Almost half the screen shows promotional content from apps you may not have, and two rows down is a banner ad that sometimes promotes non-video content such as automobiles. The Fire TV is the only streaming box where ads get in the way of basic navigation. Scrolling further down, you’ll also find rows for apps to download, games to play, and movies to buy. 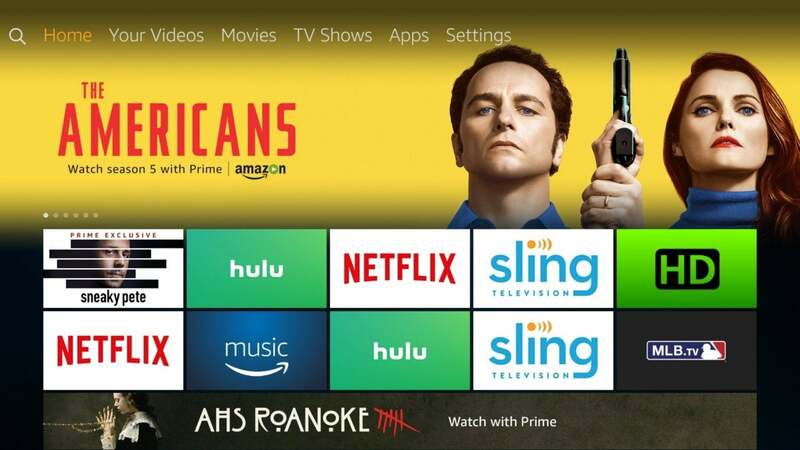 There’s also a permanent row for Amazon Channels—a la carte video services you can add to any Prime membership—regardless of whether you’re subscribing to them or not. 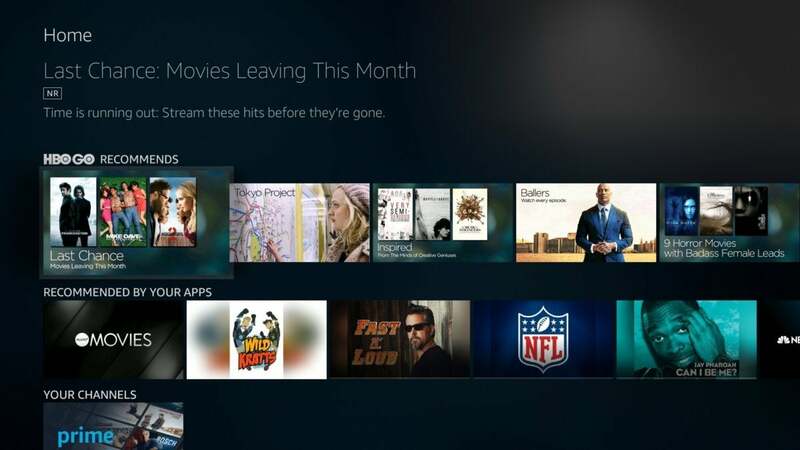 Even the rows of apps near the top of the Fire TV home screen are an example of bloat, with one row for customizable favorites, and another for recent content. 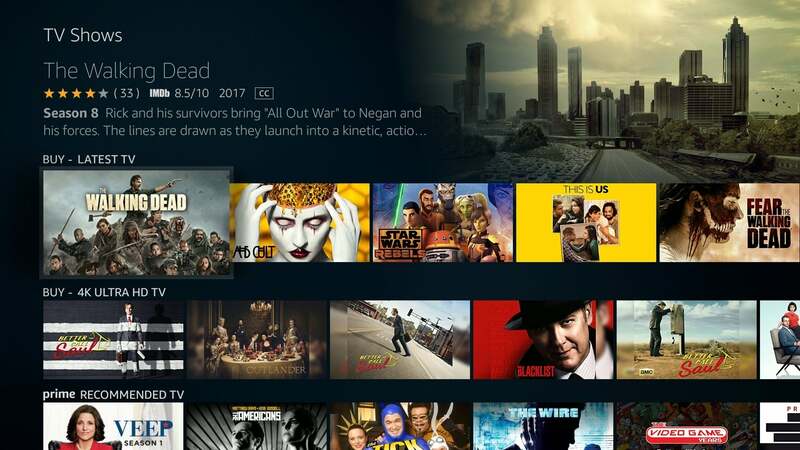 Although the recents row can technically include individual TV shows and movies, as opposed to just apps, Amazon is the only video source that feeds into this. And because your favorite apps will also probably be the ones you use the most, you’ll often be staring at two rows of largely duplicate tiles. The top row is recent content, and the bottom row is favorite apps. There’s going to be lots of overlap. 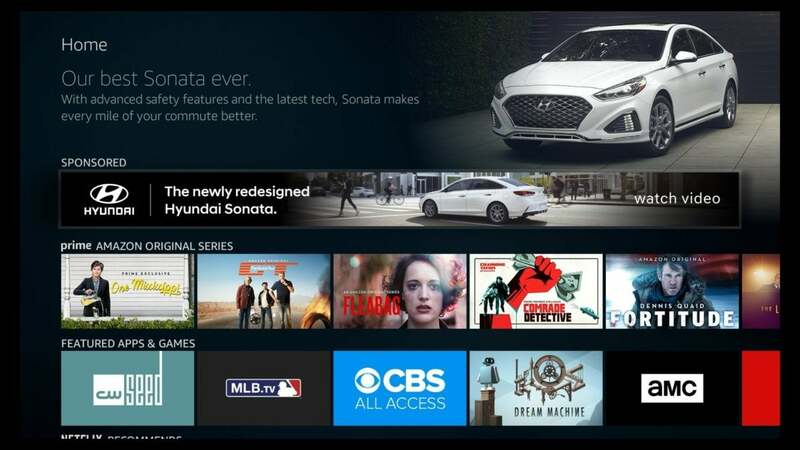 And that’s all before you move beyond the home screen and into the Fire TV’s subsections for Your Videos, Movies, TV Shows, and Apps. While Amazon’s goal of pulling content out of individual apps has merit, the execution has so little organization, and so much unnecessary cruft, that it’s not particularly useful in practice. Everything just needs to be much simpler. Why are rentals interspersed with subscription video? Why does Better Call Saul appear three times in one row? What human decided this made any sense? Voice search is supposed to be the Fire TV’s saving grace. Thanks to Amazon’s Alexa assistant, you can look for movies and TV shows, stream music, control smart home devices, and ask for general information such as the weather forecast. You don’t even need a remote in some cases, since Amazon’s Echo speakers can control playback and launch certain videos with hands-free voice commands. But along the way, Amazon’s forgotten to expand upon the basics. Although Alexa handles titles, actors, and directors without issue, advanced searches such as “new comedy movies” and “90s TV shows” yielded a lot of results that merely had those keywords in their titles or descriptions. (In one instance, “show me classic James Bond movies” returned only a single result: Star Trek II: The Wrath of Khan.) Service-specific searches such as “comedies on Netflix” didn’t work either, and Alexa is incapable of dealing with follow-up searches to filter its results. The Fire TV is capable of launching directly into specific movies or shows with a voice command, but this only works with Amazon Video for now. (Several other services pledge to support this in the future.) Both Apple TV and Google Assistant on Nvidia Shield TV are way out in front on all counts, and it’s embarrassing. With all of these complaints in mind, who is the Fire TV actually for? One group might be folks who’ve bought heavily into Amazon Channels, since having all of that content directly on the home screen could be convenient. The other group—unpleasant as this might be for Amazon—consists of folks who see the Fire TV as an inexpensive way to sideload Android apps such as Kodi, and all the morally dubious add-ons that it enables. In those cases, the new Fire TV provides a pleasing performance boost over the Fire TV Stick, and long-awaited support for 4K HDR video. Everyone else ought to stay away. Cheap UltraHD streaming gets weighed down by a cluttered interface, middling voice search, and a lack of hardware innovation.